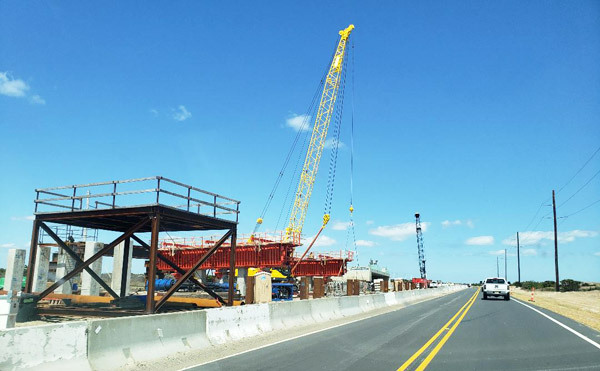 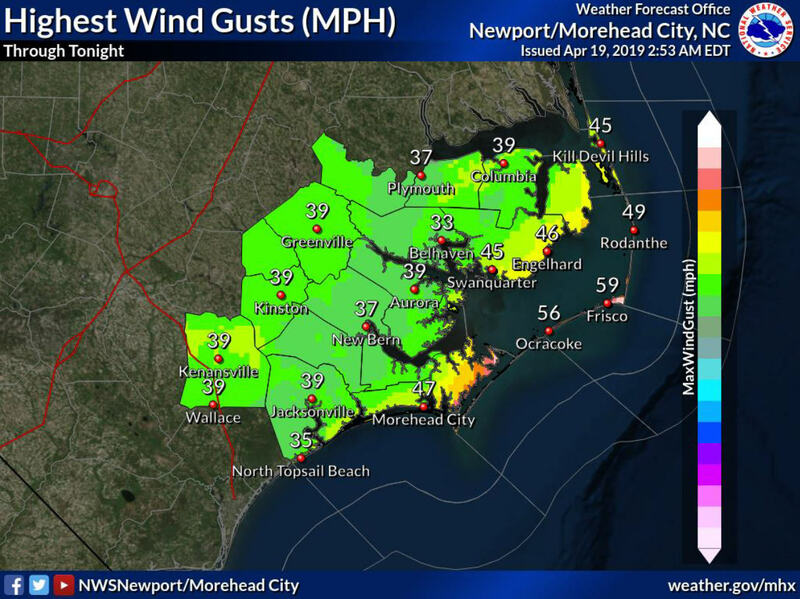 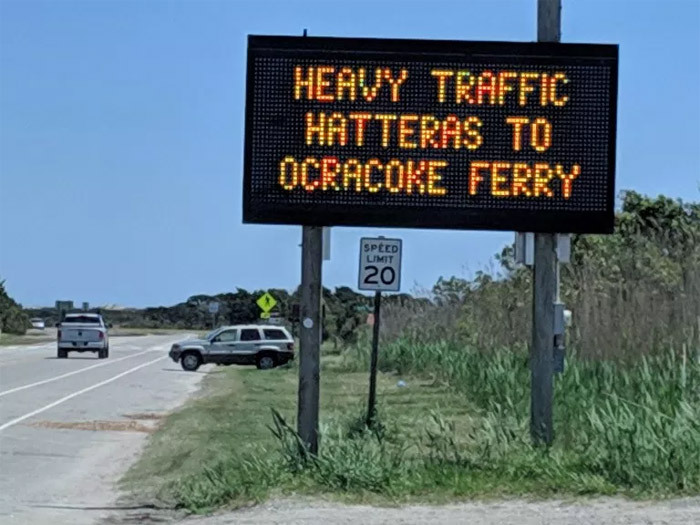 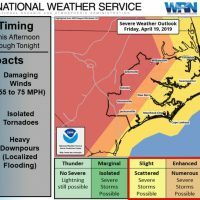 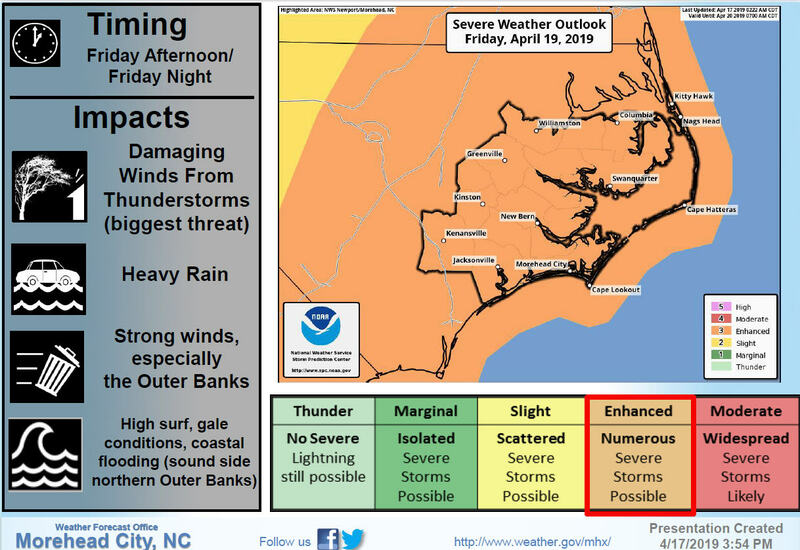 Per the National Weather Service Newport / Morehead City office, confidence is increasing that a line of thunderstorms will cross the coastal North Carolina area tonight, potentially bringing downpours, high winds, isolated tornadoes, and hail to Hatteras and Ocracoke islands. 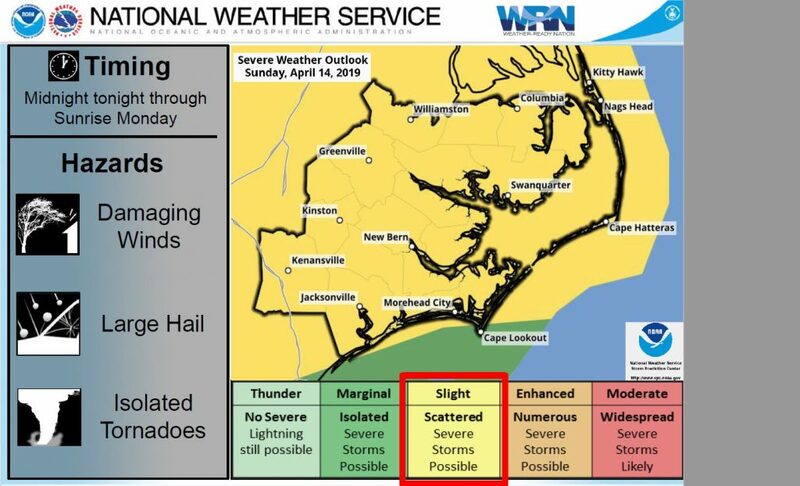 The thunderstorms are forecast to occur from late Sunday night until sunrise on Monday morning, and the storms could produce damaging winds throughout the night. 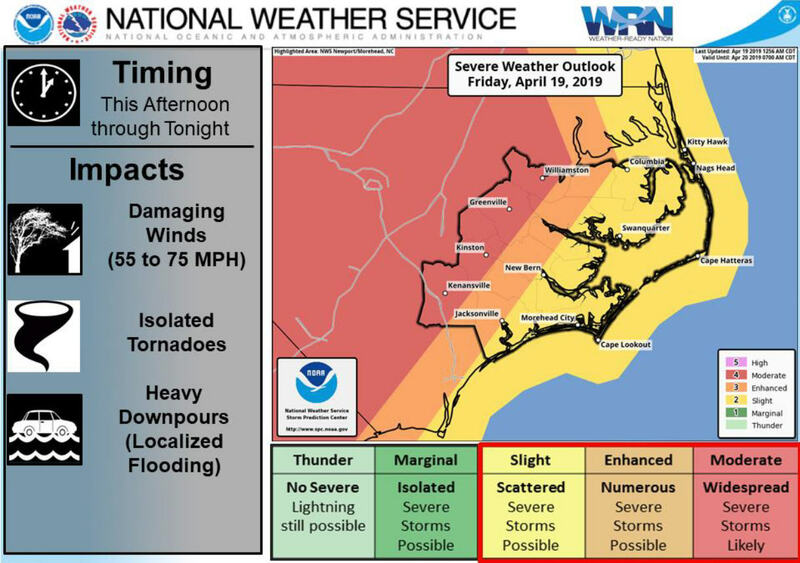 An isolated tornado or two is possible as well. 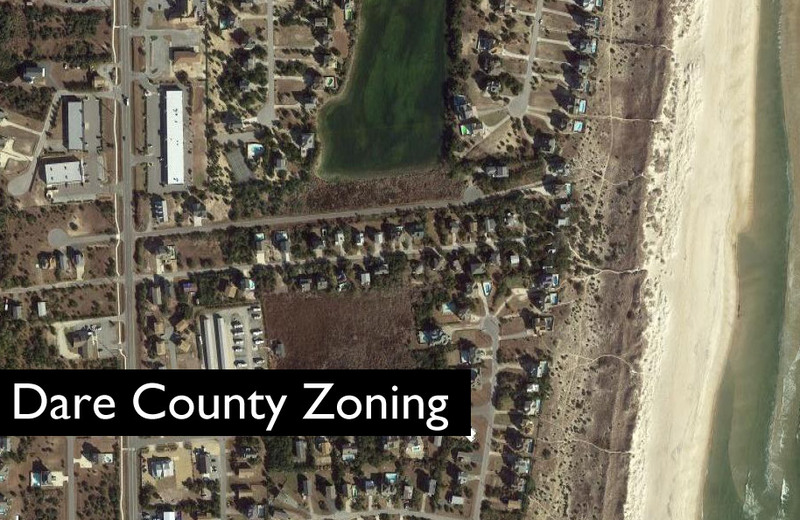 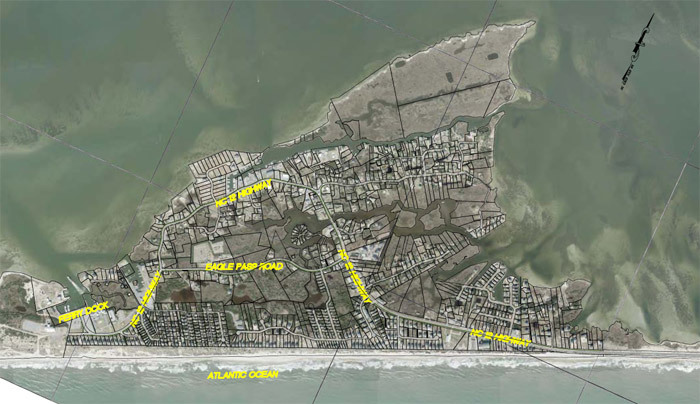 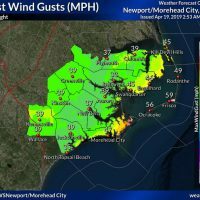 A Gale Warning is in effect for the Pamlico Sound from midnight on Sunday until 8 a.m. on Monday. 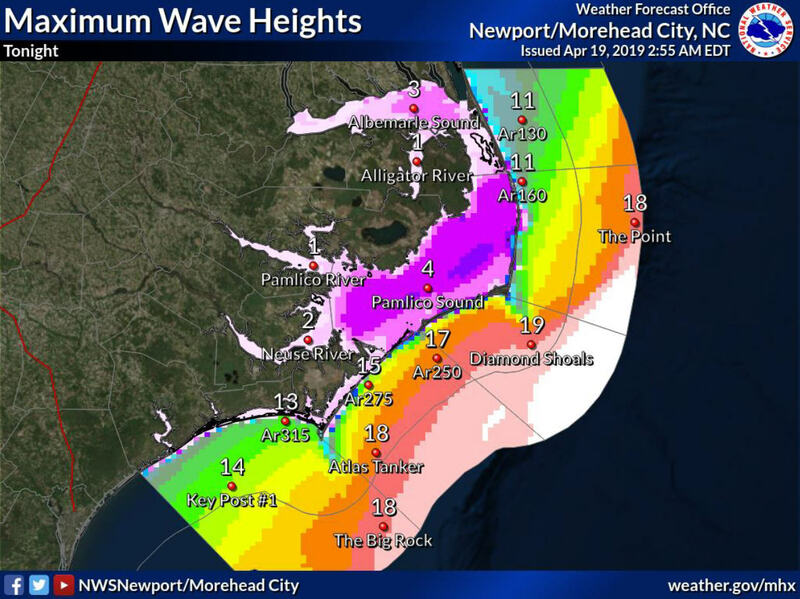 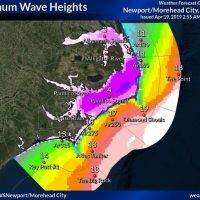 Strong winds and dangerous seas are forecast for the coastal waters, with seas peaking at 6-12 feet overnight. 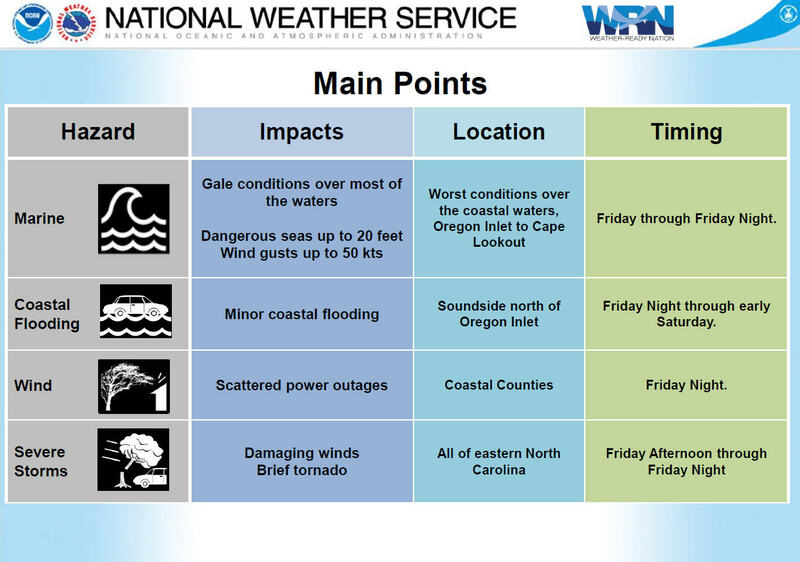 The severe weather will dissipate by Monday, when the high winds and seas will subside as well.